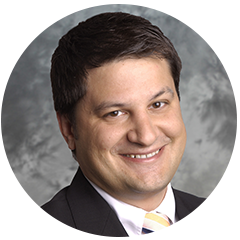 George has over 15 years of experience in public accounting, primarily working with privately held businesses and private equity firms in the real estate and financial services industries, as well as high net worth individuals. He specializes in partnership and limited liability company taxation, individual income taxation, state and local income tax compliance, and foreign reporting issues. George also provides consulting and transactional support involving sales and purchases of real estate and other financial assets. Prior to joining Mazars USA, George served in a similar position at a Long Island accounting firm where he focused on closely held businesses and private client services, as well as common interest realty associations. George received his Bachelor of Science in Accounting from St. John’s University.